I know, I know, I’m a bit late to the party on this episode, but I had a long day yesterday, thanks to the wonders of needing to charge a Nissan Leaf. Three times. That aside, let’s move on to part 2 of the Colombia Grand Tour special. If you’ve read my review of part 1, you’ll know that I wasn’t exactly smitten with what was on show. I just found it a little tired in places, and some bits just felt too staged. 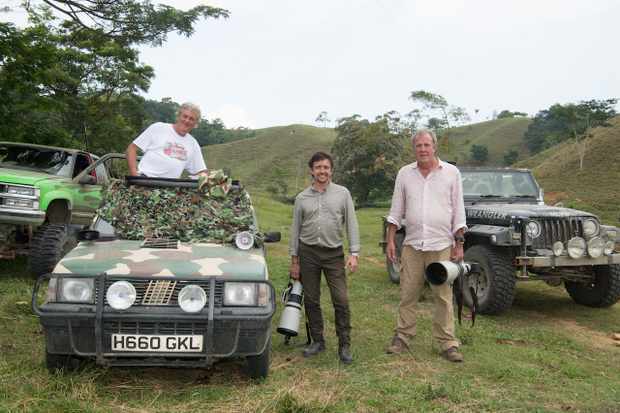 After he cures this problem, the three hit the road once more, this time looking for some spectacled bears. Following the destruction of the trap cameras, the hapless trio have to use patience this time around, which goes well… Already, the episode feels more organic and I found myself laughing more, with the gags landing better compared to part 1. Watching Clarkson fall in to the ditch gave me quite the giggle, especially when he tried to get himself, only making matters worse in typical GT fashion. Quite surprisingly, twas the plucky Panda that was able to tow Jezza out of fashion. 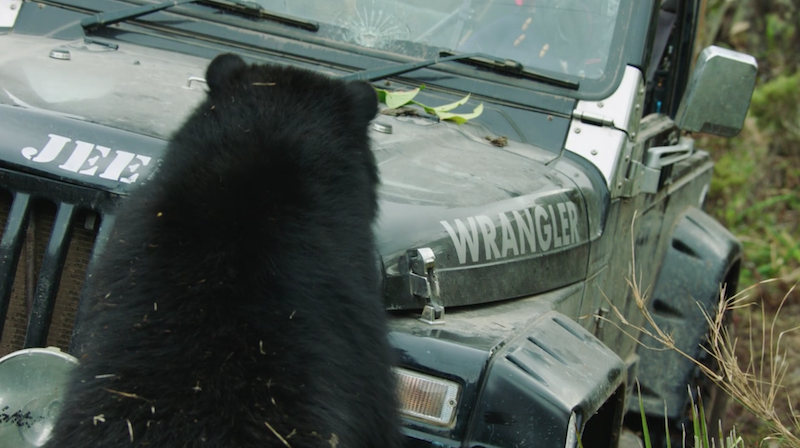 In fact, credit where credit’s due, throughout the episode May’s comically small Panda dealt with the off-road terrain with great aplomb. That’s more that what could be said for Hammond’s Silverado, which at one point, only had one wheel drive. Mind you, Hammond’s ridiculous pick up did come in handy, albeit in an unexpected manner. The trio come to quite a sizeable hole, and it’s clear that there is no way across. Well, that’s if you have common sense; Clarkson and May seem to think that Hammond can make it across with his unashamedly American ‘Monster Truck’. He – like everyone else watching – realises that it’s a stupid idea, but before he knows it, he’s tackling the hole with the help of turf that has been dug out by his colleagues. Guess what? Yup, he gets stuck. 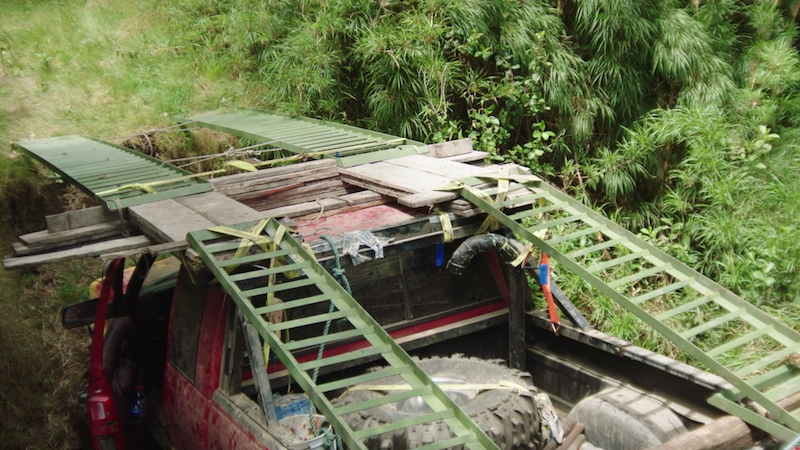 However, his Silverado does make the perfect base for a bridge in which Clarkson and May can cross to continue their journey. Spoiler alert; this turns out to be a big waste of time, much to Hammond’s annoyance. On the plus side, it did offer good entertainment. After finding an alternative route around, and after a bit of patience, they are blessed with the sight of a spectacled bear, and I was amazed at how close they could get to it. It didn’t even seem fazed either, getting up close and personal with Clarkson’s Wrangler. It’s clear the trio aren’t pros when armed with a camera, but thankfully the production crew were able to get some good shots of the beast, and all of a sudden, it was almost like watching Attenborough. Ok, that’s a bit of a reach isn’t it? Following the trio’s success, they head in to the next town to partake in something the locals love to do in their spare time. 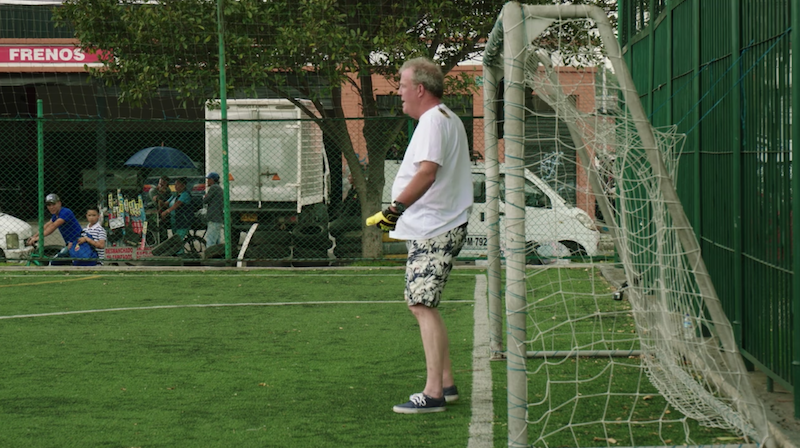 The camera than cleverly cuts to the white line of a football pitch – see what they did there? Quite clever, eh? What’s even better is that we get the very rare sight of Jezza doing some exercise (some say you’ve got more chance of seeing a snow leopard). It’s clear he’s not very good, though, so the trio abandon the game of football and set out to improve their cars instead. As is the way, the trio go for different approaches, but Clarkson, for once, seemed to have put the most amount of thought in, and his changes made sense, whereas Hammond’s seemed a bit far fetched. After making their cars ‘better’ the trio go to capture their next animal. With a photo I mean, not like a cage. This time it’s a flock (probably the wrong collective phrase) of hummingbirds, which I was rather captivated by, but not quite as much as they were with the ‘interesting’ tactics the GT boys had deployed to get them to come close to them. Did they get the hippo? Well, that I want to leave as a surprise, although there’s probably a good chance you’ve watched the episode, but maybe you just as behind the times as I am. Either way, I’m not going to say whether or not they were able to snap the illustrious hippo. I enjoyed part 2 more than I did part 1, but for me, this wasn’t a classic. I don’t think this is one of those specials I would go out of my way to re-watch, although I did quite enjoy the wildlife aspects to the special. Plus, it’s nowhere near as bad as the famously bad Top Gear India special. 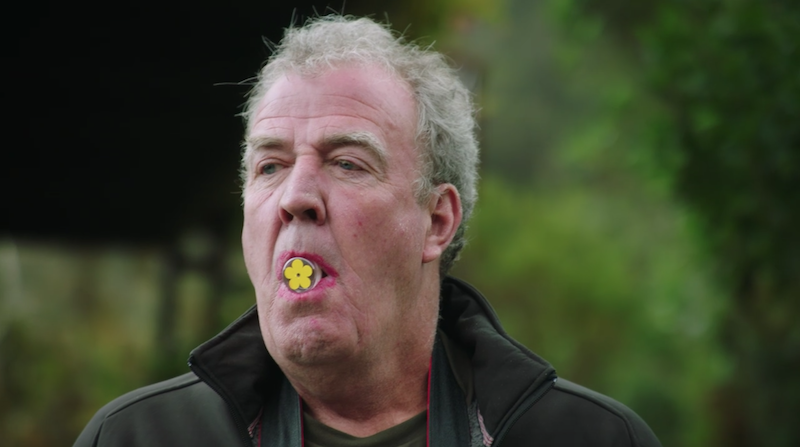 I laughed more in part 2, but it still failed to really draw me in like the previous specials did, and when that was achieved, that was thanks to the animals on camera as opposed to Clarkson, Hammond and May. This wasn’t a bad special, but I just felt as if it was missing a spark.